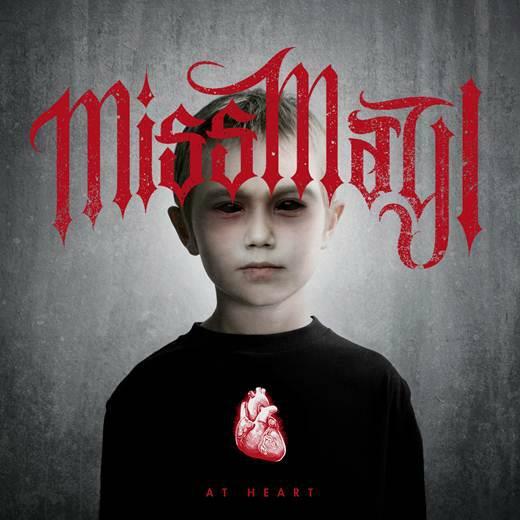 Miss May I's new album, "At Heart" on Rise records charted at #32 in the Billboard charts.. "At Heart" was produced by famed record producer Machine (Lamb of God, Every Time I Die, Suicide Silence) this past winter at Machine Shop in Belleville, New Jersey. Hey Levi, do you get much downtime to hang out and do touristy stuff? No, not really; [laughing] I usually sleep in until we’re here and I get up at like four in the afternoon. Today I woke up early though in Manchester so went for a walk around. I went to a museum just near the venue. I didn’t know it was here but someone told me. Usually there’s like a mall orshopping centre but there aren’t any around here so was like “yeah, the museum it’s something to do”. So, your new album “At Heart” comes out June 12th. What can fans expect from that and how will it differ and evolve from “Monument”? It’s a lot more real, that’s why we called it “At Heart”. I don’t really listen to a lot of metal, I listen to hip-hop, so the lyrics are more real I guess. It’s not cheesy “I hate everything” metal stuff; it’s real. There are a lot of songs that are about nothing that other metal bands have written about before, so we’re really excited about it. We actually just got the finished version today, so it sounds awesome and we finally did real instruments. It’s not all digital like our other CDs. So, as well as the new album you guys have a new band logo and new symbol- a lion. You’ve always used a lion but now you have an official image for the band. What does that mean to Miss May I and why have you decided lock it down now? Well, with the new CD it’s our first time with a producer and we’re trying to break away from the scene; the younger scene kids, not that we don’t want to play with them anymore, but we’ve done all we can. We thought it would be cool that on our fifth album instead of having five different lions, we would have one now. We wanted to build it up and not just start off with a symbol, so we thought now was the perfect time; the lion was our thing and now it’s like, this is our lion. It’s cool; there are hundreds of tattoos already. It’s only been on YouTube for like fifteen seconds, but there are kids that have it tattooed; one kid has it on his throat, it’s everywhere now. You’ve released the album artwork too- quite a sinister looking little boy on the front. How did that image come about? You worked with producer “Machine” on “At Heart” who’s worked with such a diverse range of bands from Lamb of God to Gym Class Heroes. How was that experience? He’s crazy! He never sleeps! He has a mainstream attitude which is why we went to him, and we didn’t want to go to a metal producer because we’re a metal band. So, it was cool to go to him. “Hey this is metal music, this is how you make it catchy”. It was really fun and he pushed us really hard. All the lyrics, even me doing vocals he was like “do it again, think about you’re singing”. We’re hoping he’s going to be the sixth member; we don’t want to go to anyone else now. If you weren’t in Miss May I what would you be doing? We were all lined up for college and then we got our record deal in high school. So, I would be in school studying advertising right now. 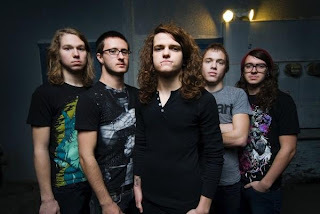 That’s what the cool thing is about Miss May I. Like the new CD, I come up with most of the ideas for the stuff so I get to do the advertising and music. And finally, which bands should our readers be checking out? letlive; I know they’re huge already over here, but in the US they’re not as big yet. Can I do a hip-hop one? Machine Gun Kelly; he just signed to Bad Boy, Diddy’s record label. He’s from Ohio and he’s awesome. And to read the live review click HERE.